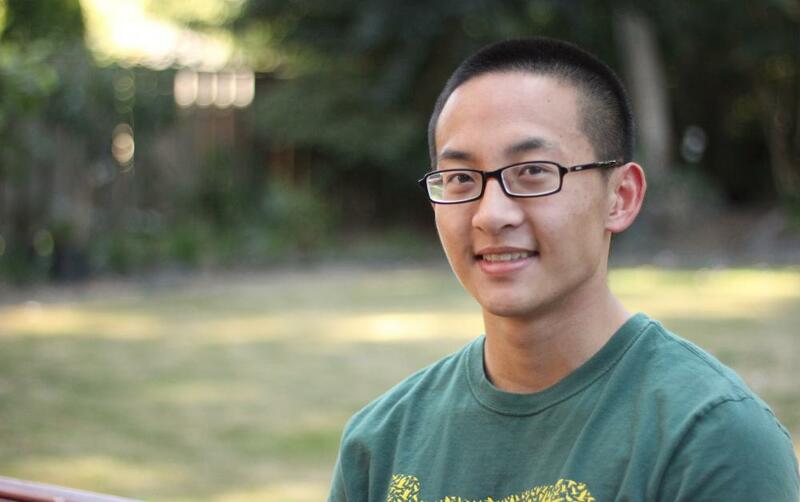 Hao Tan of Sherwood, Ore., is one of 5,000 new students arriving on campus this fall. He's also one of four Stamps Leadership Scholars, and a student in the Robert D. Clark Honors College. His is the first in a series of profiles we'll feature on Around the O this fall. MY ACADEMIC INTERESTS INCLUDE: Math, Chemistry, Biology, and Social Studies. PEOPLE MIGHT BE SURPRISED TO KNOW: That I was actually born in China and I’m a boss at using chopsticks. THE ONE THING I’M MOST NERVOUS ABOUT: Doing my own laundry. THE ONE THING I’M MOST EXCITED ABOUT: The freedom of college life. I CHOSE OREGON BECAUSE: It’s a safe and chill place to study. I’m familiar with campus and I enjoy the local culture. UO’s a good fit for me. WHEN I THINK OF OREGON: I think of football — shout out to Jordan Kurahara, No. 98, Sherwood High School graduate. THE ONE KEY PIECE OF RAIN GEAR I MUST BRING TO CAMPUS: None, real Oregonians don't use rain gear. Getting soaked daily builds character. THE THING ABOUT COLLEGE I'M MOST LOOKING FORWARD TO IS: Meeting new people and exploring what the university has to offer.